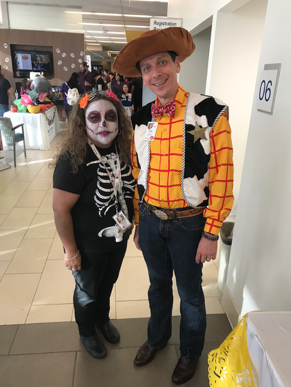 The Children’s Health Department at University Health System hosted its 5th Annual Pediatric Fall Festival for children in the Comprehensive Care Clinic and NICU Grad Clinic at the Robert B. Green Campus. 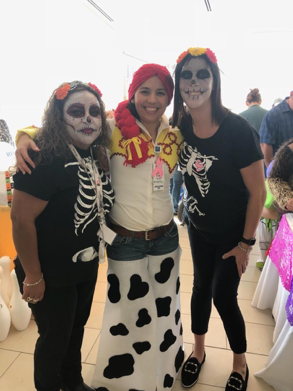 SA DON, Cynthia, AM Veronica and Scheduling Coordinator, Allison with our girl Jana. SA DON, Cynthia and Patient Advocate, Anne with RN Jeanette from the NICU Grad Clinic. SA DON, Cynthia with Dr. Medellin from the Comprehensive Care Clinic. 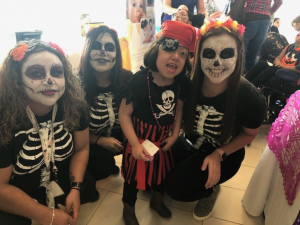 The festival is hosted for families with children with complex chronic medical conditions that are expected to last at least 12 months and who require multi-specialty pediatric care and care planning. This patient population includes complex genetic conditions, technology dependent children, home ventilated children, life-limiting diagnoses, complex NICU discharges, non-reparable congenital heart, neurologically devastated children, severe traumatic brain injury, incurable tumors, and hospice referrals. 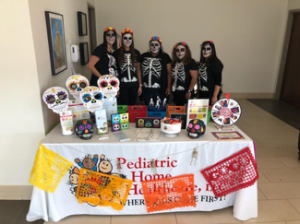 The PHH San Antonio office provided a fun booth with a “spin the wheel” activity. Over 200 people attended the event! It has grown every year and shows no sign of stopping!